Who can ever forget the single mum who made thousands with her magnificent rare photo of the fabulous four on December 25 in 2017? The Royal four were caught on Karen Anvil’s iPhone, on their way to church smiling at her camera. Karen Anvil has made an appearance at the BAFTAs, and this time she managed to get a breathtaking photo of the Duchess. Kate, 37, looked super stunned and excited to see Karen and her daughter, Rachel, who had been standing outside the red carpet at the BAFTAs to get a glimpse of their idol. Her daughter, Rachel, had told the Duchess of Cambridge how beautiful she looked and that caused the reaction that was captured in the photo. 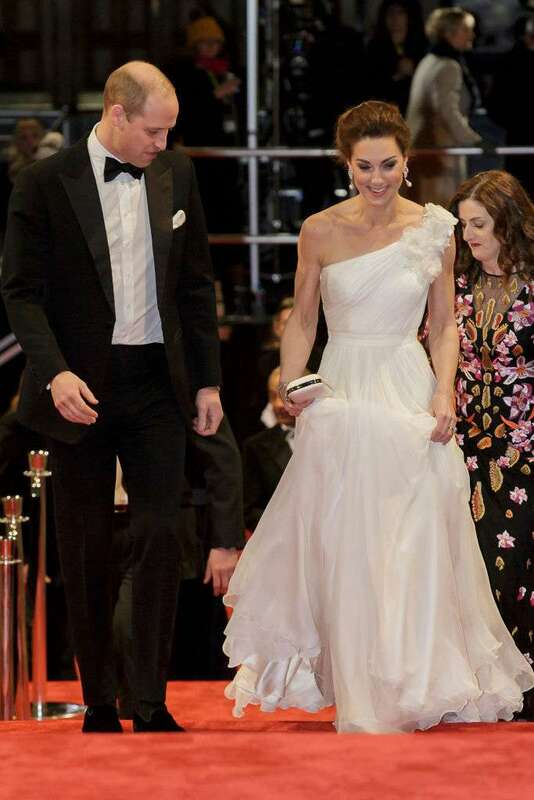 Kate looked stunning in a one-shoulder white dress by Alexander McQueen with her hair packed at the back. She accessorized with a pair of diamond drop earrings and completed the look with Jimmy Choo heels. Karen mentioned how excited she was to photograph, and revealed that Kate was very nice to her. She also expressed her confidence in Kate making a wonderful Queen in the future. She had posted it on social media, and immediately, tons of people started calling in. By 5 pm that day, her photo had been sold to over 50 countries, and she made around £40,000 that December. Ever since then, she makes a regular monthly income of £600-£6000. She had been working two jobs at the time of the picture. With the proceeds, she was able to take time off work, take care of her debts and revamp her home. She plans to use every bit of the income for essential purposes and is saving some aside for her daughter’s college education. With enough rest, Karen hopes to return to work in February at the Queen Elizabeth Hospital in King’s Lynn. We are so excited for Karen and her daughter, and grateful to them for the beautiful photos they keep taking of the members of the Royal family. We are looking forward to more mind-blowing shots, girls!.